Let VisitLEX act as your Lexington film office. 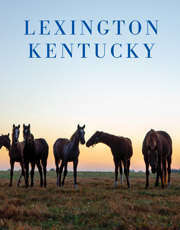 In Lexington and the Bluegrass Region you will have easy access to settings both rural and cosmopolitan, pasture land and forest, quaint small towns, architectural styles from the mid-eighteenth century to the new millennium, and of course, stunning vistas of the legendary landscapes of the Horse Capital of the World. Kentucky offers aggressive tax incentives for film production, making it one of the most affordable film production locations in the United States. Qualified productions can take advantage of a refundable income tax credit of up to 30-35% of approved expenditures. Need assistance? Click this link to reach out to us about hotel rooms, locations, b-roll, maps and more. Or contact Niki Goldey, Director of Communications enh@visitlex.com or (859)244-7707. Check out area locations on Reel Scout. Filming in Lexington is a breeze. The city does not require permits unless your filming will impede car or pedestrian traffic. Need to reach out to some local companies for general services such as catering, printing, rental equipment or courier services? Our Services Directory is a great resource. Need a sound stage? Check out the capabilities of Kentucky&apos;s largest Studio. Contact Jake Adams, Senior Manager, Sales & Marketing for Wrigley Media Group at jadams@wrigleymediagroup.com or (859) 266-3776 ext. 231.” Or, check out the new sound stage at Hook Interactive, a local production company and creative firm with strong LA and NY roots. Contact Colin Doherty at colin@hookusall.com or (323)-972-2119. The local chapter of IATSE is a great resource for electricians, rigging specialists, carpenters, stagehands, props, wardrobe, and general laborers. The regional SAG office is in Nashville, TN. The nearest teamster office is in Louisville, KY.
A number of major motion pictures have taken advantage of filming in the Bluegrass Region. 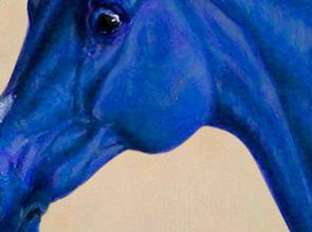 Learn more here: Horses and Hollywood. "VisitLex and the Kentucky Film Commission have been extremely helpful in pre-production on my third feature film, which will be shot in Lexington, KY. Location scouting has been a joy as local restaurant, distillery, and farm owners have been nothing but helpful and enthusiastic to support the project. I hope this will be the first of many films I shoot in beautiful Central Kentucky." Jonny Walls, Writer/Director: Couch Survivor and All About the Afterglow. Drive time from Lexington to Louisville, KY or to Cincinnati, OH is about 1.5 hours. Lexington to Nashville, TN is about 3.5 hours.